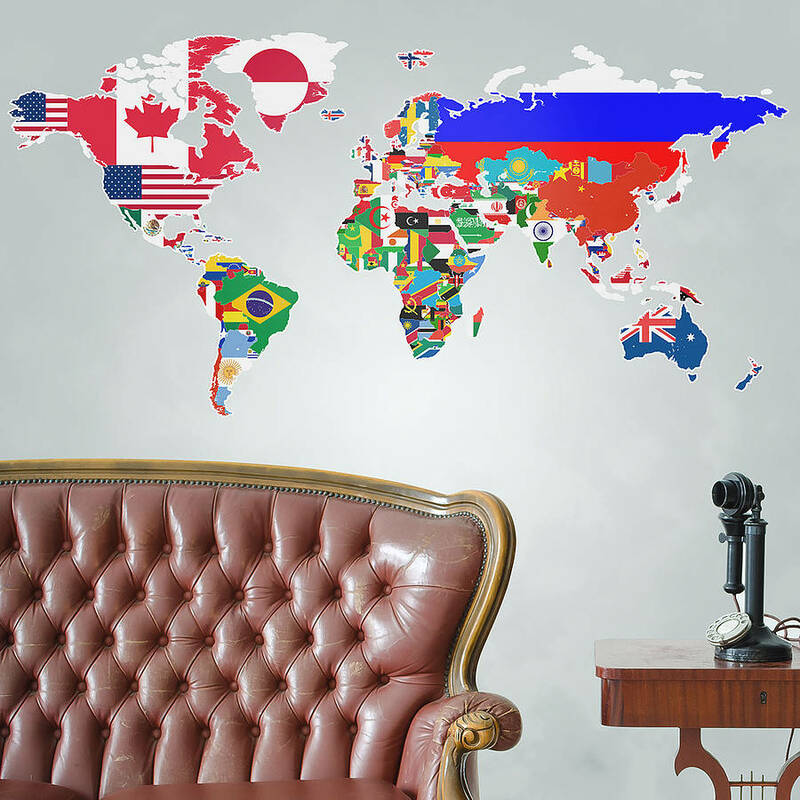 On this page you will find our very modern stickers with world map that makes it good in every bar wall. 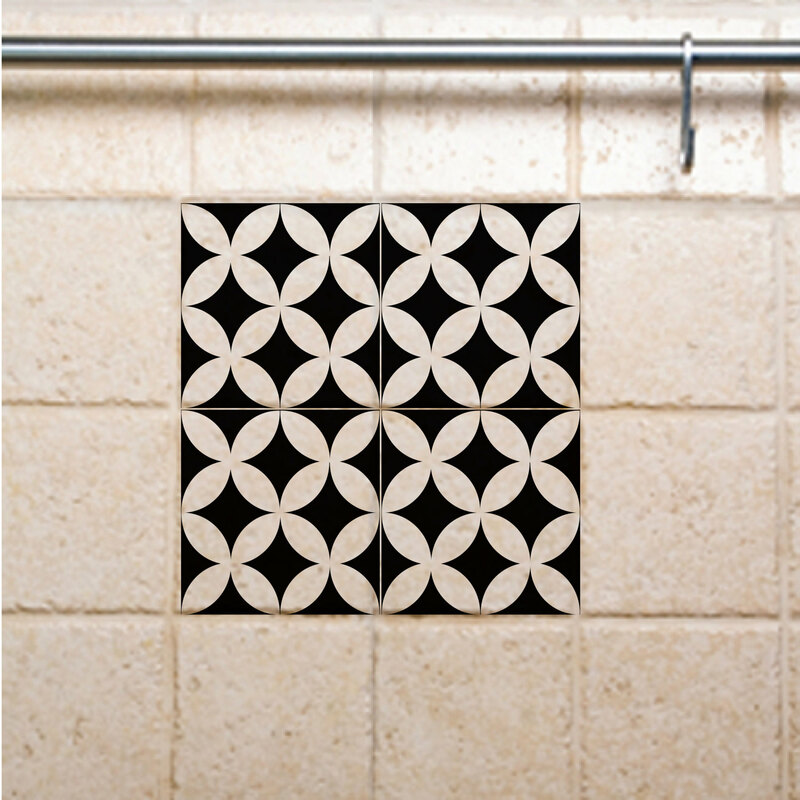 We have several different designs that can be hung placed in many different ways. As always, you can even choose the color and size. 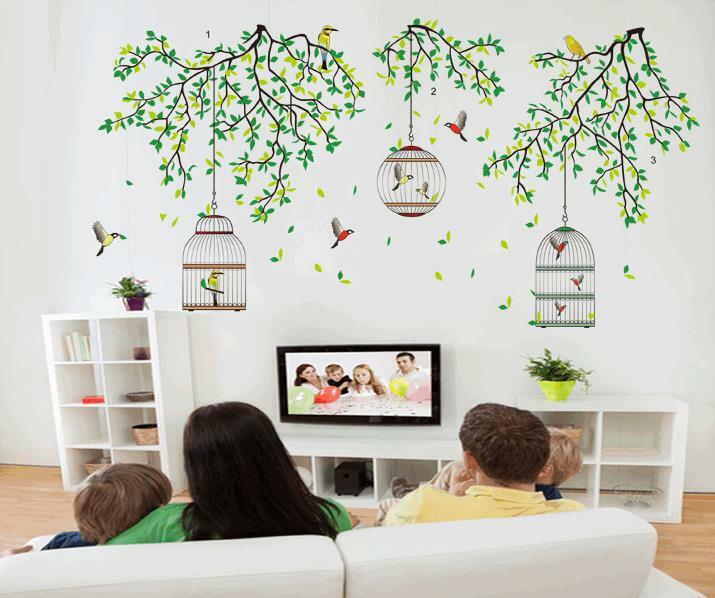 In this way you can get a wall sticker that fits perfectly with your decor and the size of your wall. 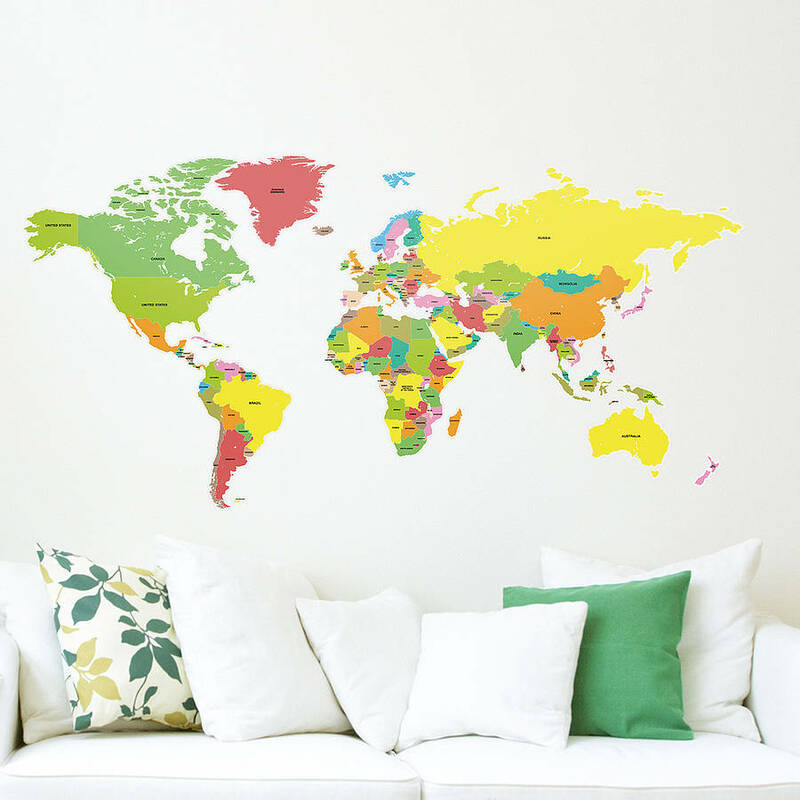 Map of the world are very popular because they provide a nice simple expression on your wall. 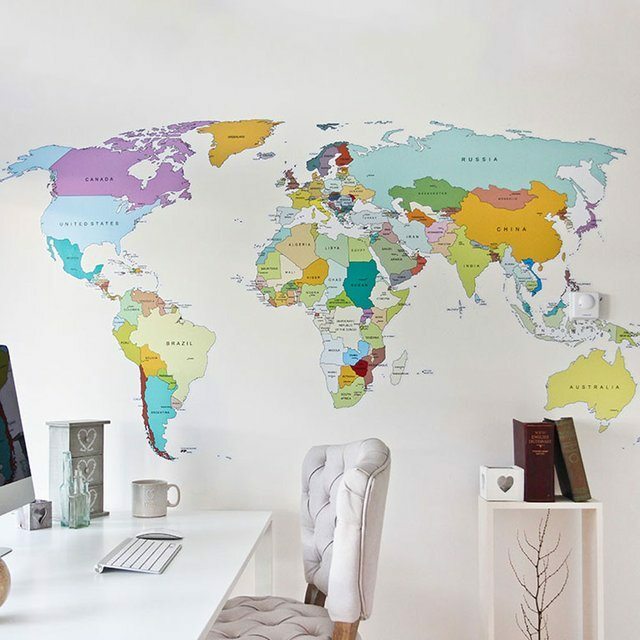 World maps are perfect for the home where you want to show their affiliation to the world. 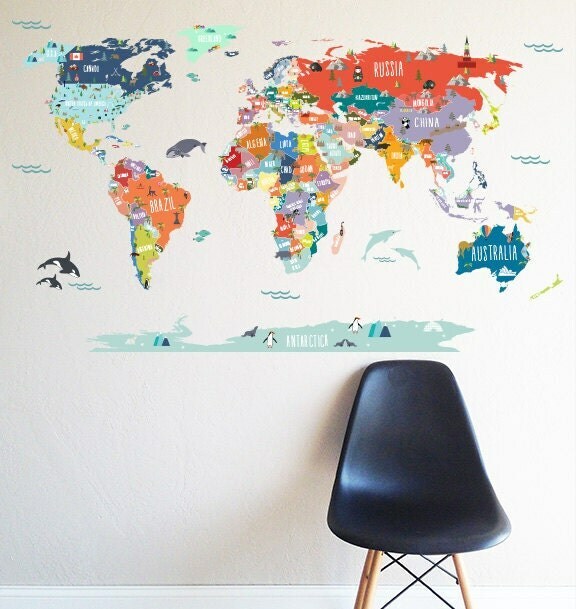 See for example our beautiful wallsticker – detailed map of the world. This card is perfect if you want a beautiful and decorative view of the world. At the same time, you can for example put small stickers in a different color on the map, so everyone can see where you’ve been. 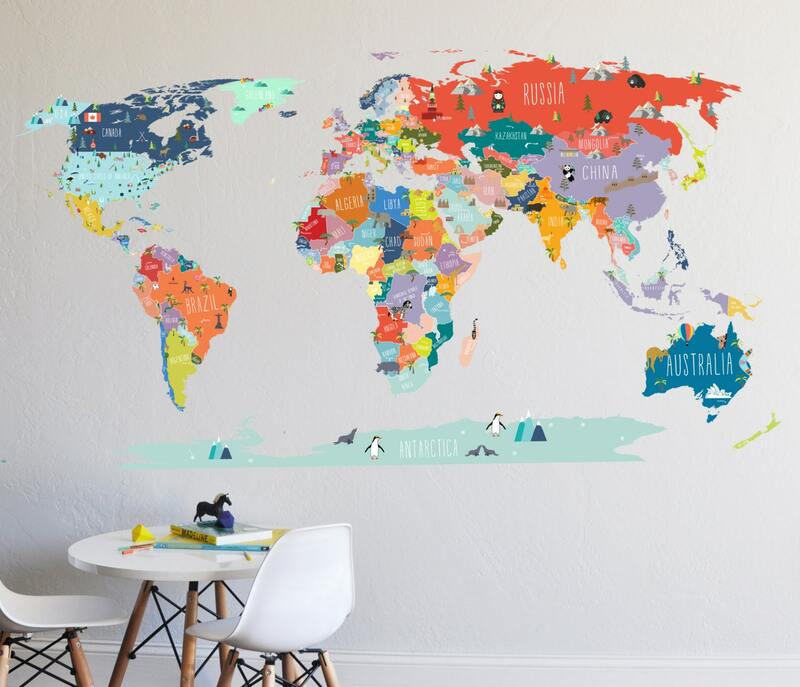 If you have children, this is also a perfect way to show where you have traveled to or going on holiday. If you want to show their affiliation to Denmark, we also have stickers to it. See here the Denmark map. 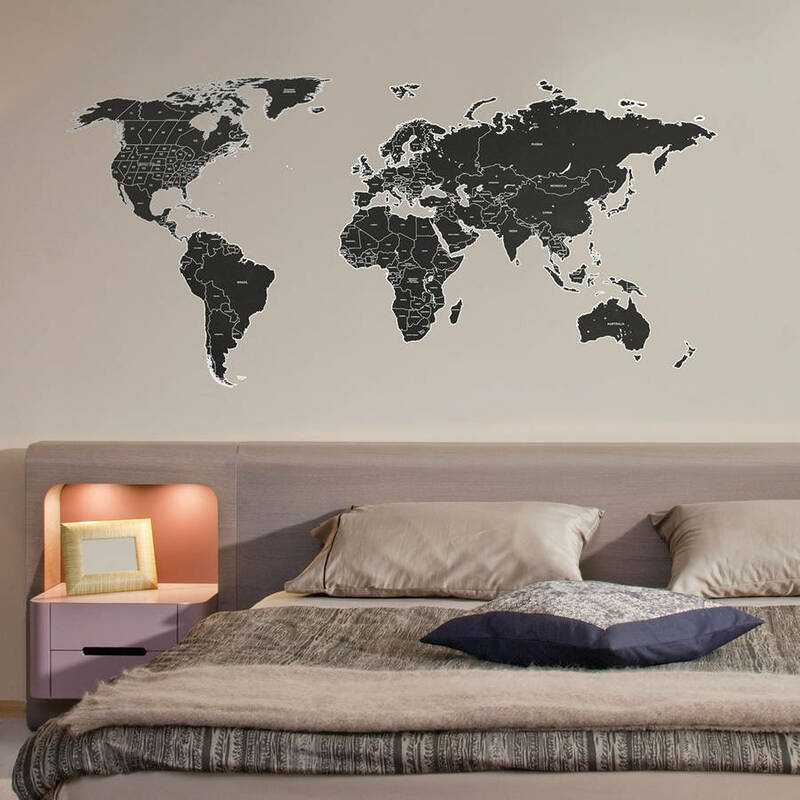 Made in the same simple design as it is detailed map of the world, but with a focus on Denmark. Again, it is natural to put marks where you’ve been or just let the card be and show Denmark from above in a simple design. 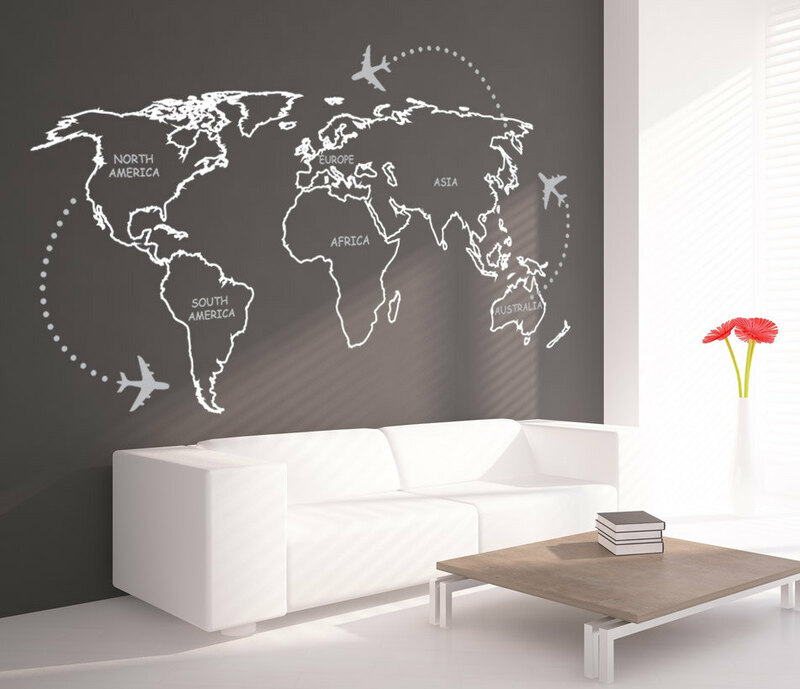 If you prefer a less detailed look, you can for example look at the wall sticker of the globe. 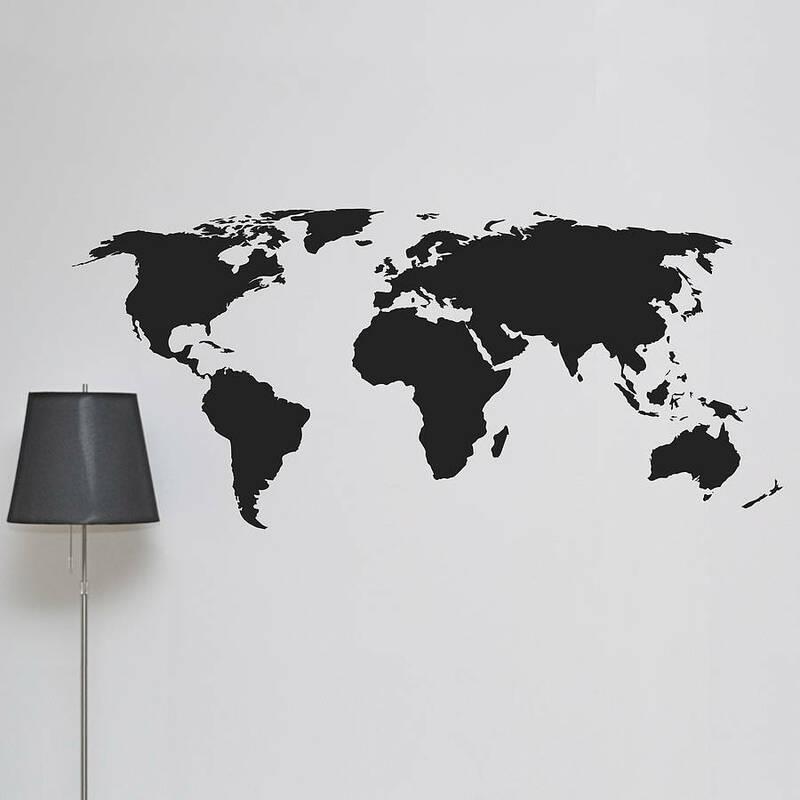 A super nice and simple wall sticker of the earth is as a globe in 2D of course, focusing on our side of the globe. 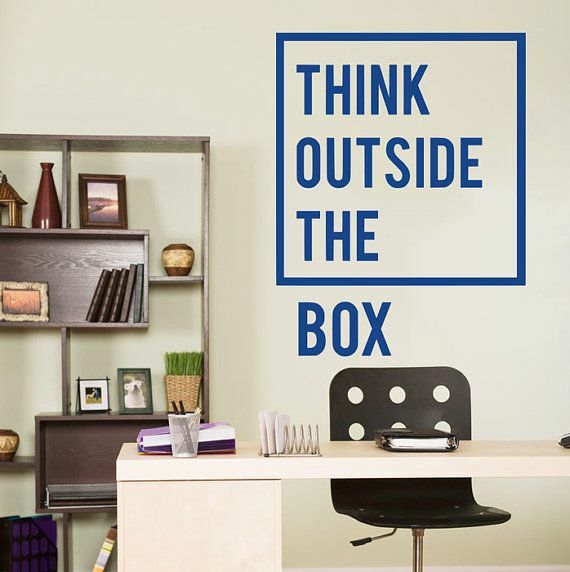 This wall sticker provides a simple and elegant look on any wall. As always, there is free shipping on all stickers. At the same time you can when you choose to buy a walls ticker here even choose the color and size. At the same time, do not hesitate to contact us if you have questions or want to change the design. 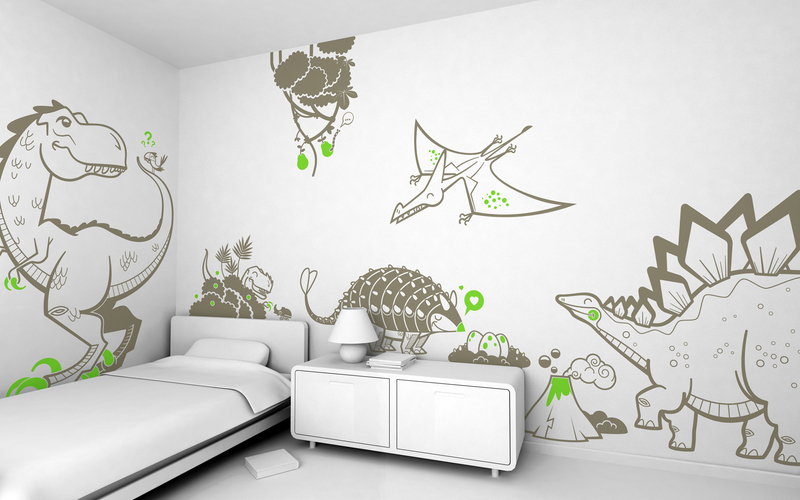 In this way we ensure that you get exactly the wallsticker you want to fit perfectly to your home.